ArPura P600 air purifier combines the AirPura version of Photocatalytic oxidation process with an exceptional sterilization power of AirPura P600 Germicidal UV bulb and the proven efficiency of AirPura True HEPA and Carbon air filtration system to achieve the most comprehensive protection from VOCs, specific chemicals and airborne pathogens along with superior level of allergens, dust and chemicals removal. 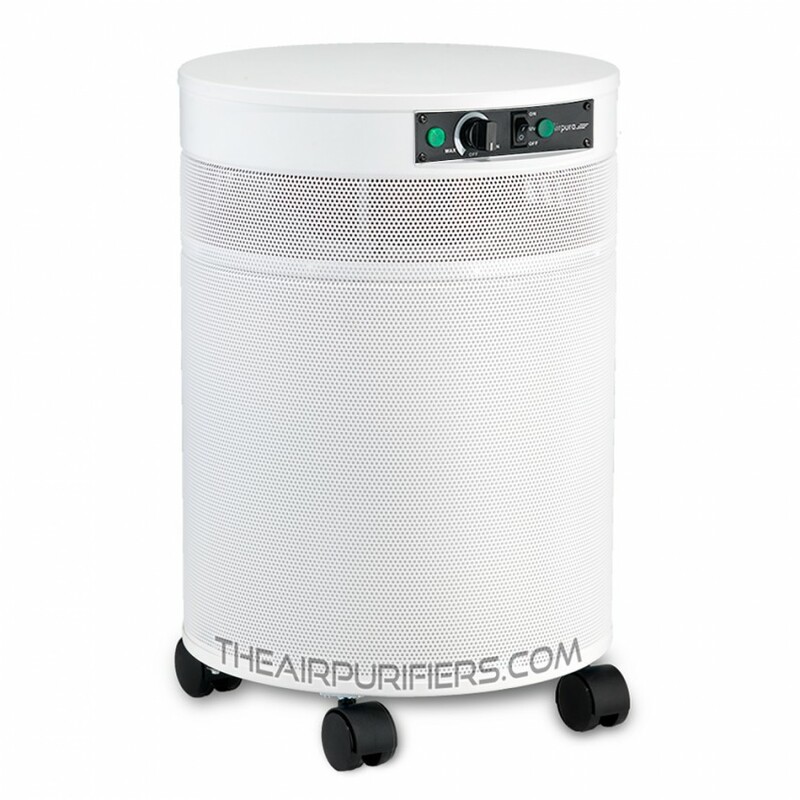 AirPura P600 employs the High-Efficiency 3-Stage True HEPA and Carbon Air Filtration system. 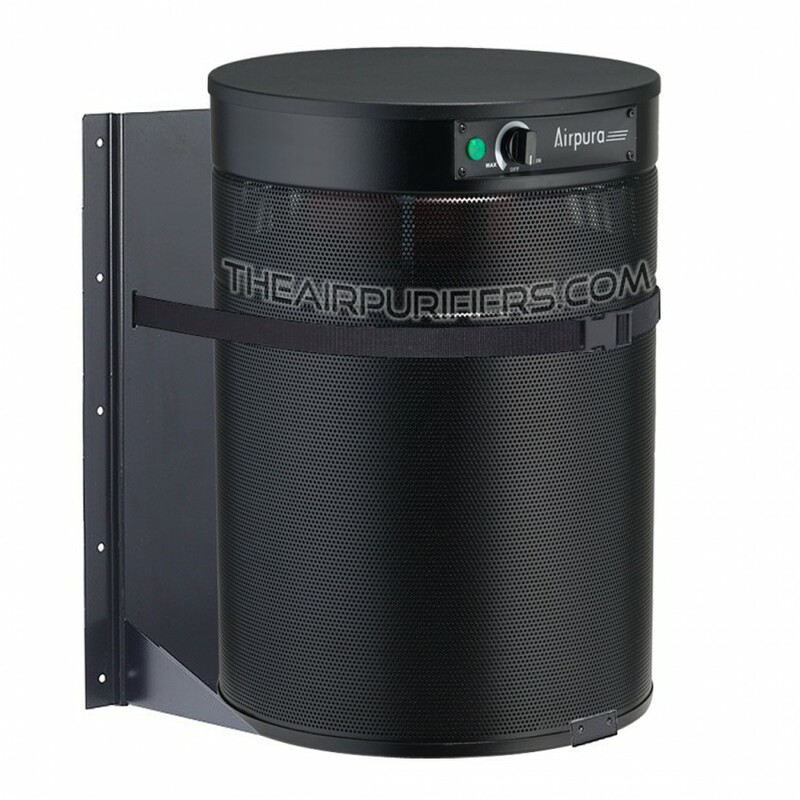 AirPura P600 incorporates the advanced Photocatalytic Oxidation air purification technology. 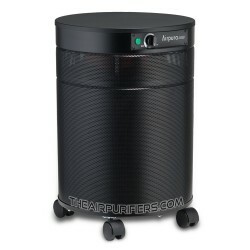 AirPura P600 is equipped with a powerful and energy efficient vibration-free motor/fan assembly. AirPura P600 features a variable speed control for fine tuning the optimal air flow in all situations. The AirPura P600 superior air flow of 560 CFM makes the P600 highly effective in cleaning areas up to 2000 sq. ft.
AirPura P600 features non off-gassing the all metal housing with durable baked-on powder coating. The AirPura P600 10-Year manufacturer's warranty is one of the strongest in the industry. All AirPura P600 parts and components produce no toxic off-gassing. AirPura P600 ships FREE by Ground service in US and Canada. No US Sales Tax and No Border fees. AirPura P600 is covered by a 30-Day Money Back Satisfaction Guarantee Return policy. AirPura P600 - When to Use? Large Standard 2-inch deep True HEPA filter. The AirPura P600 large True HEPA filter traps from the air over 99.97% of all microscopic airborne contaminants down to 0.3 micron in size to provide a superior protection from lung damaging dust, allergens, including but not limited to: mold spores, plant spores, pollen, house dust mites and debris, lung damaging dust, pet dander, bird feather dust, microscopic ash particles in cigarette smoke and smoke from wood burning stove, etc. 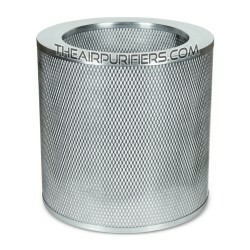 Standard 2-inch deep Carbon Filter canister. The AirPura P600 carbon filter canister contains large amount (18 lbs.) of regular activated carbon adsorbent (choice of coconut shell or anthracite). 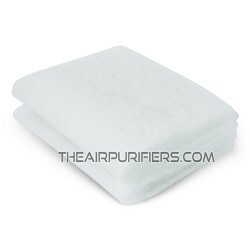 Such a large amount of adsorbent and an extended dwelling time of 2-inch deep carbon bed ensure fast and effective removal from the air of all regular chemical substances and noxious odors such as: cuisine odors, pet odors, musty basement odors, chemicals in cigarette smoke, smoke from wood burning stove. household chemicals, and many more. The Photocatalytic Oxidation Unit consists of the High output Germicidal UV bulb and "TitanClean" titanium dioxide reflector. Germicidal UV bulb provides the most effective and speedy sterilization of the air from airborne pathogens. The sterilization power of the Germicidal UV light is 1,600 times of a direct sunlight, and therefore is extremely lethal to airborne pathogens: viruses, bacteria, microbes, germs fungi, etc. At the same time Germicidal UV bulb produces the minimal amount of ozone as a by-product, and therefore a safer type of UV bulb for residential and office use. Titanium Dioxide Reflector in conjunction with the UV light activates the Photocatalytic oxidation process. The Photocatalytic oxidation process guarantees the most effective and speedy deactivation and removal of hard-to-remove specific chemical substances, such as: VOCs, Formaldehyde, ammonia, Radon, Carbon monoxide, Pesticides, PCBs, Butanol, Toluene, Sulfur oxides, Chloroform, VOG (volcanic smoke and gases), etc. 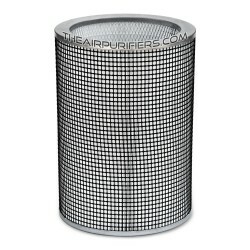 The standard Polyester based pre-filter is the first stage of AirPura P600 air filtration system. The pre-filter traps most of larger visible dust and dirt particles to protect fine True HEPA filter from faster contamination and extend its lifetime. Optional Unbleached Pesticide-free Cotton pre-filter. The optional unbleached pesticide-free pre-filter is available in AirPura P600 to meet the requirements of concerned AirPura air purifier users and individuals with elevated or multiple chemical sensitivity. The AirPura P600 features the top and bottom Felt Gaskets. The Felt gaskets pressure seal the filter chamber. They help eliminate the polluted air by-pass and increase the overall air filtration efficiency. The felt gaskets in lieu of commonly used closed-cell rubber gaskets also help minimize the toxic off-gassing. AirPura P600 is powered by the same high quality, energy efficient Motor/Fan unit with variable speed control. It is rated at 560 CFM which is is 40% higher than for most other air purifiers in the same category. The variable speed control allows the user to set the optimal air flow by selecting the speed setting that is the most suitable for any particular air cleaning application, activity or a time of the day. One piece Motor/Fan assembly is factory balanced to ensure the vibration and noise-free operation. The AirPura P600 can be equipped with optional motor/fan and power cord for use with 220-230 Volts, 50 Hz power supply per customer's specification at Extra cost. AirPura P600 features a unified for the AirPura 600 lineup durable, impact resistant the all metal housing made out of perforated steel. The appliance quality baked-on powder coating is scratch, scuff and stain resistant. 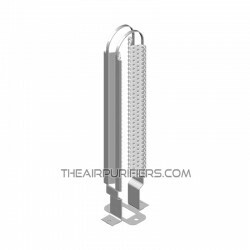 The AirPura P600 metal housing with powder coating is totally inert and produces no toxic off-gassing. The 360° Polluted air intake (lower deck of the unit) and 320° Clean air outlet at the top deck of the unit improve the overall air purifier performance and reduce noise. Clean air outlet in located at the upper deck of the unit away from dust and dirt on the floor. Four Wheel Casters on the bottom panel ensure an easy mobility of the air purifier. AirPura P600 air purifier comes with the most comprehensive limited manufacturer's warranty. 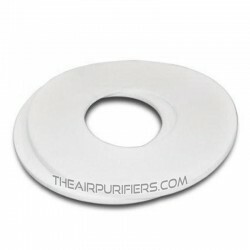 It gives the AirPura air purifier owners the peace of mind.